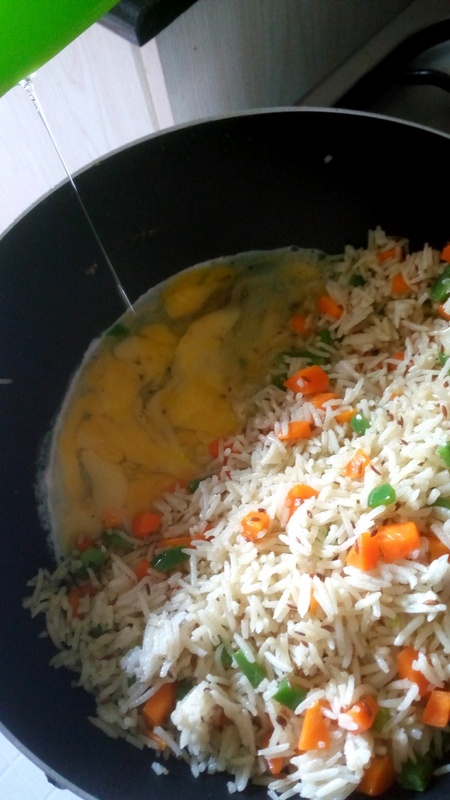 Egg Fried Rice - Leo Tunapika? 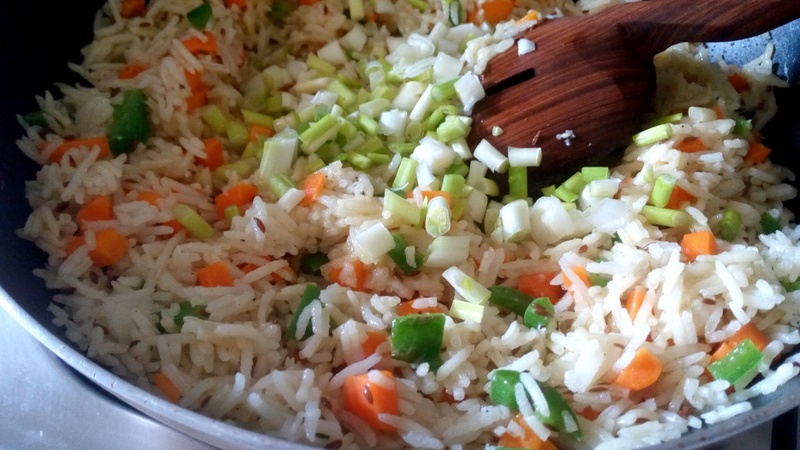 Funny how I don’t have any recipe on here on leftover ugali 🙂 Anyway, most often than not you find that you have rice leftover and instead of just reheating it how about revamping it? 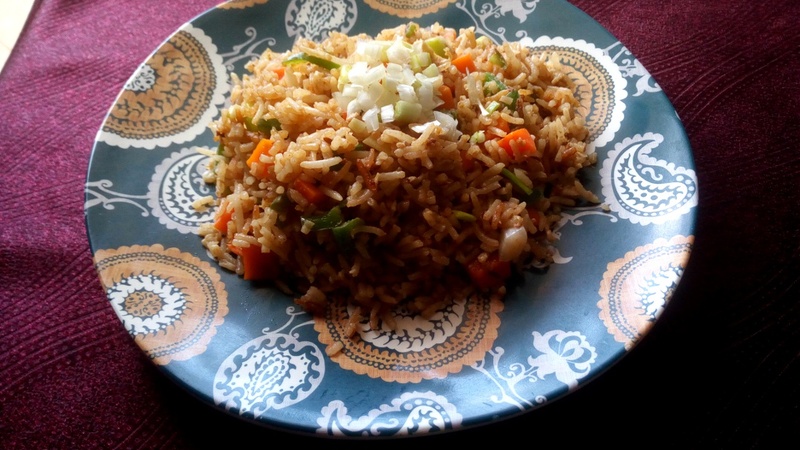 In comes this easy and quick egg fried rice recipe. Today’s recipe is dedicated to my good friend Mo, she’s dope make up artist you can check her out on her Instagram. 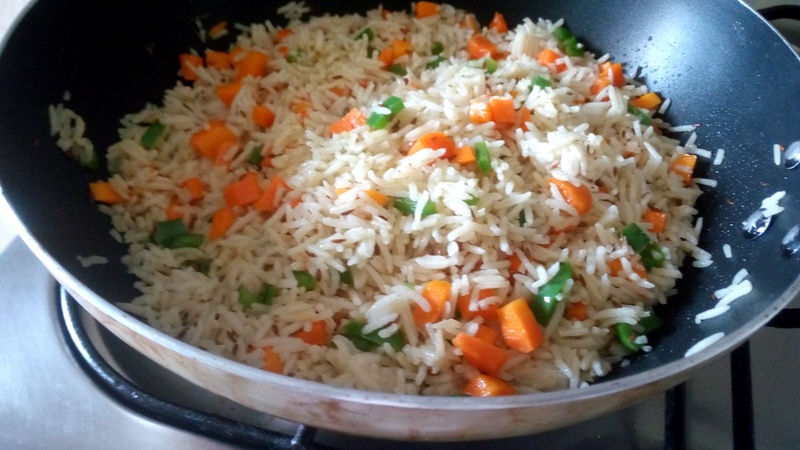 When it comes to revamping leftover rice you can be as simple or complex as you like or as per the ingredients you have on hand. 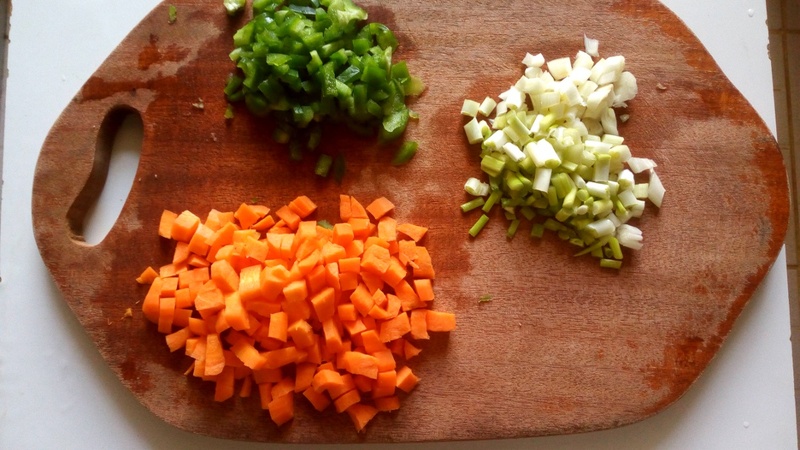 On this particular day I had some carrots and green bell peppers. They addedthe perfect crunch and much needed colour to the whole meal. 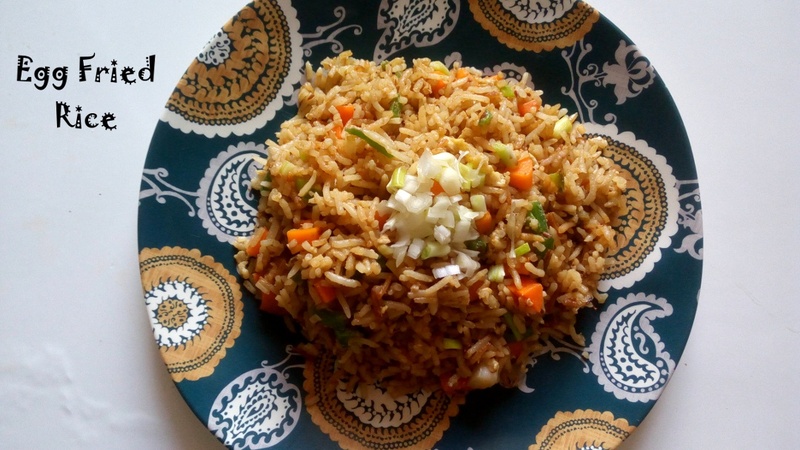 Fried rice recipes are extremely fast to put together and foolproof. I had some leftover cumin rice which was my base. When making this, it’s prudent to have all your ingredients prepped since once the wok is heated up everything moves pretty fast. 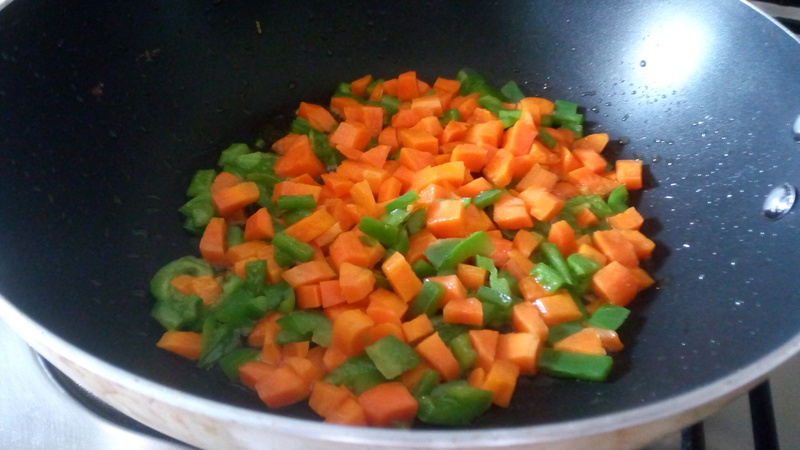 Start by adding the carrots and bell peppers in a heated wok that has some vegetable oil. Toss for about 3 minutes then add in the rice and stir. Stir to combine as the rice heats up. Move the rice to create some space for the eggs. Pour in the eggs. Using a wooden spoon, scramble the eggs before combining with the rice. At this point the meal is almost done. Add the green onions. I prefer adding them close to the end that way they are still crunchy and full of flavour. Then a dash of soy sauce. Then taste for seasoning and adjust accordingly. Whenever you are using soy sauce it’s best to put off adding salt until after since you might not need. Serve up the rice and enjoy. 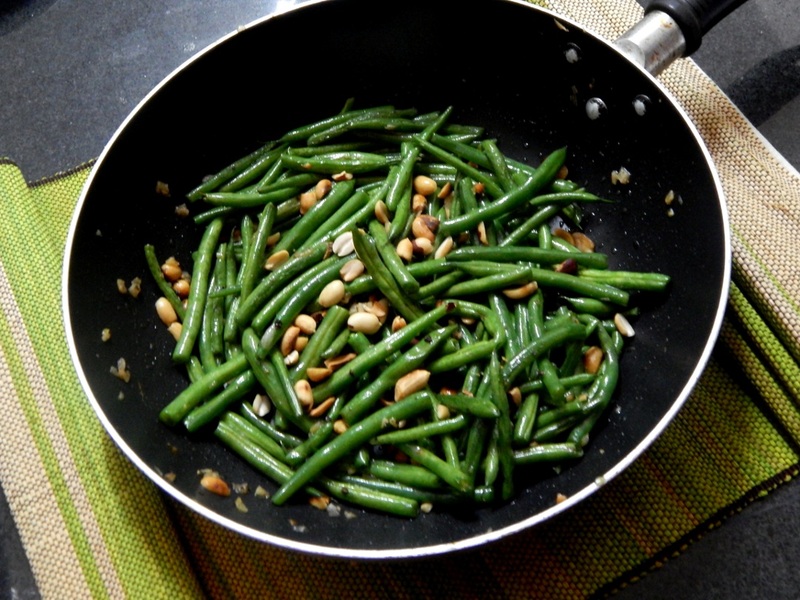 In a heated wok, add the vegetable oil. 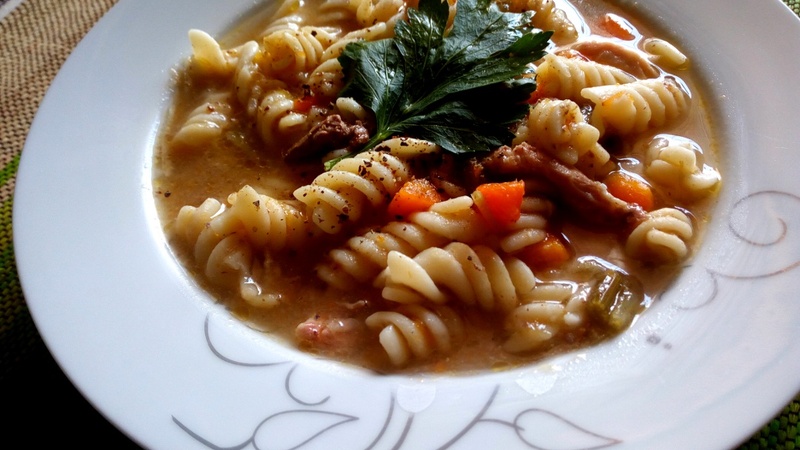 Add the carrots and bell peppers. 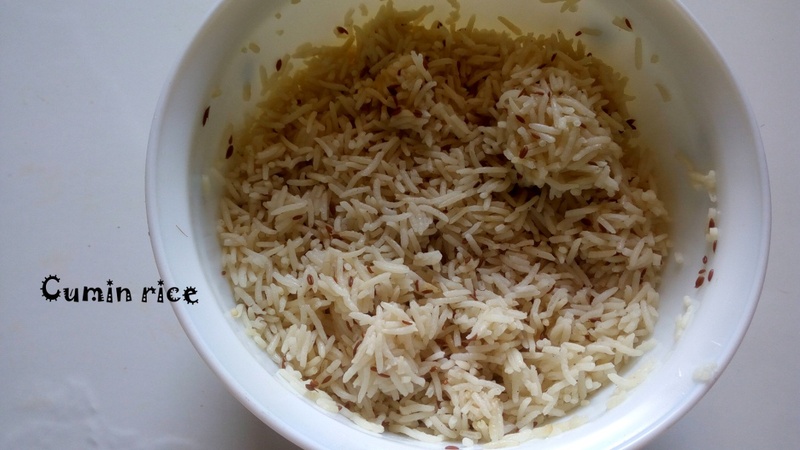 Toss for 3 minutes then add in the rice. 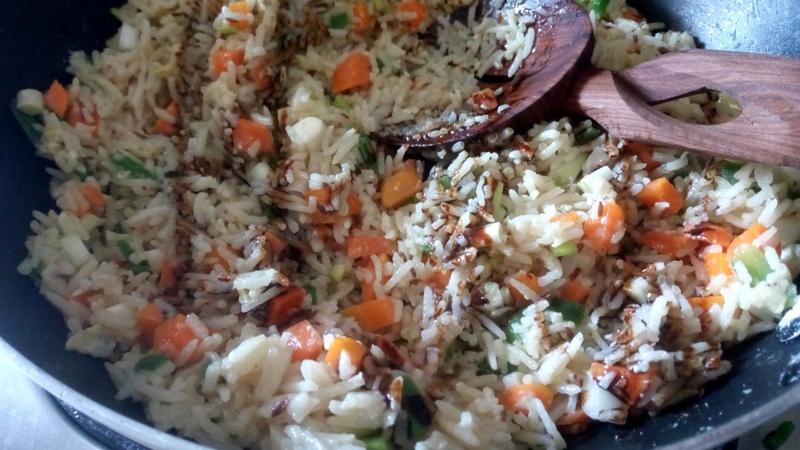 Using a wooden spoon break apart the rice and combine with the veggies. Create some room, then pour in the eggs. Scramble the eggs before combining with the rice. Add in the green onions and soy sauce.